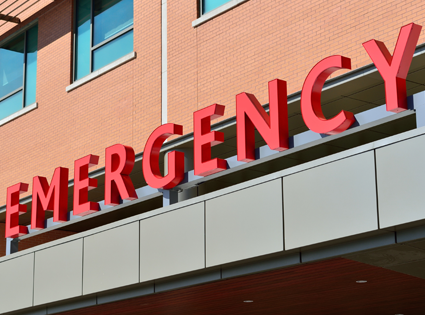 Every emergency is an emergency to the person who feels pain, and as such, they are faced with various options: go to the emergency room (ER); wait to see their regular doctor; or find an urgent care center at which to be treated. But, without the right understanding of what constitutes an emergency, a person may not be able to tell where the best place is to be treated, and if one checks online, google will advises a trip to ER almost every single time. As a result, many people run to the ER even though it’s not always the best place to get treated. When people use the ER for reasons other than those for which it was originally intended, end up spending a lot of time and money unnecessarily. Who should go to the ER and when? Originally the ER was intended for emergent trauma services and life-threatening cases such as those that result from accidents, broken bones, severe heart palpitations, deep cuts, head or eye injuries, etc. As time has gone on, the ER is used to treat a wide spectrum of conditions even when they are not life-threatening or emergent. To prevent spending time and money, the question of where to find the right type of help begins with evaluating what medical resource to choose. Have a discussion with your doctor about what constitutes and emergency for you and your health condition. The best strategy to avoid the ER on a Friday night or any other time is by preventing health issues and problems, seeing a primary care physician regularly helps ensure that you are healthy. This alone can help prevent the stress and cost of visiting an ER. Consider visiting urgent-care facilities for minor aches, consistent bodily pain, some headaches, and coughs. There are 16 urgent-care facilities in Anchorage and 37 percent of them operate seven days a week, most of them are open until 8:00 pm or later. These facilities are there to treat anything ranging from: drug testing, travel immunizations, occupational physicals and tests, and most general care. General care can mean a lot of things, but basically it may cover: lacerations cuts and wounds, burns, fractures, colds, infections, and much more. Lower costs and affordability are important benefits of using an urgent care facility over an emergency room, which could be three times as much for the same treatment provided by an urgent facility.Urgent-care facilities are a great place to start when you feel ill. Following up with a regular doctor may prevent most illnesses from the start but finding the right primary care doctor can be intimidating. Although there are many providers and acute areas of care, it’s important to be selective when choosing a primary health provider because finding the right one will be one of the most rewarding things you can do to protect your health. One of the luxuries with today’s technology is the ability to shop for a doctor that suits your needs; it is possible to check multiple physicians and find the right one. The State of Alaska has made finding the right provider a lot more transparent through a new law that requires healthcare services to publicly list common services so that consumers can estimate potential costs. It behooves all residents of this great state to find the right doctor for them to ensure a healthy and long life. Benjamín Lucero works at an emergency room in Anchorage. Always follow up with a medical professional for health advice.